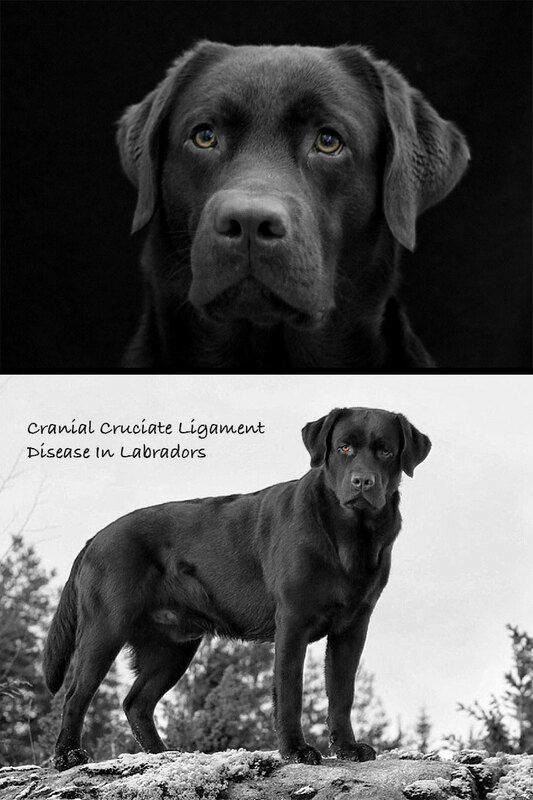 Cranial Cruciate Ligament Disease is something that all Labrador owners need to be aware of. [wp_ad_camp_2]If your Labrador has hurt his back leg, is limping or appears to be lame, this will be one of the first things that your veterinarian is going to consider. Because CrCl damage in Labradors is a big problem. 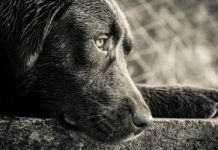 In this article we are going to look at what cranial cruciate ligament disease is, how it affects our Labradors and what can be done about it. 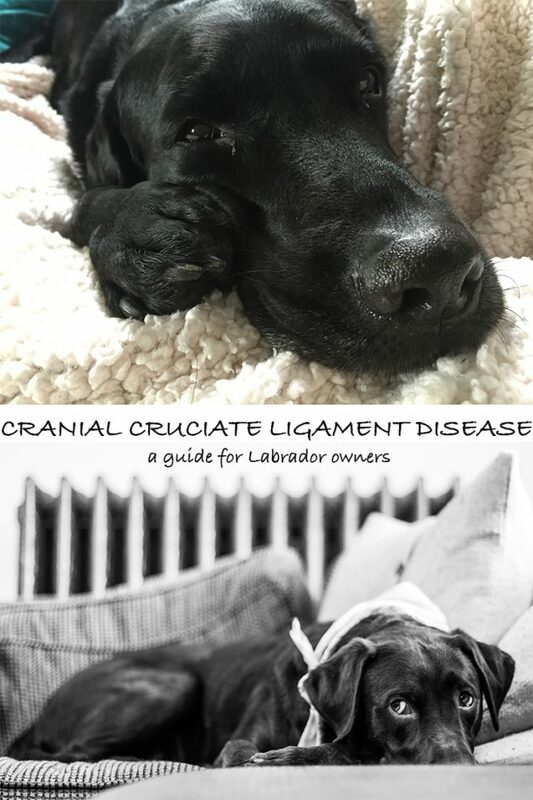 I have been talking to orthopedic veterinarians Dr Neil Embleton and Dr Veronica Barkowski, about the surgical management of cranial cruciate ligament disease in the Labrador Retriever: And they have been sharing their experience of CrCl disease, and some important information about an innovative new treatment. 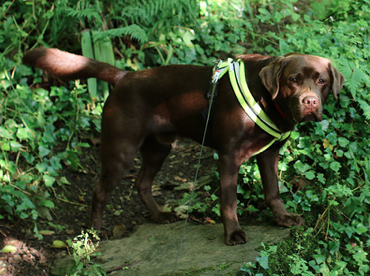 We have also been speaking to the owner of a beautiful Labrador who has been affected by CrCl disease, who has kindly agreed to share her experiences of managing life with a Labrador suffering from it. The Cranial Cruciate Ligament is also known as the CrCl. It is a ligament which connects the bone above the knee to the one below it. What is Cranial Cruciate Ligament Disease? When a dog has cranial cruciate ligament disease, the joint stops working in the way the it is supposed to. 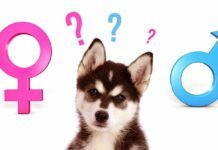 Are Labradors More Likely To Get CrCl Disease? Dr Embleton and Dr Barkowski believe that there are proportionately higher rates of CrCl disease in Labradors, when compared with other breeds. “Cranial cruciate ligament (CrCl) disease continues to be the most common orthopedic disease affecting the hind limb of the dog. 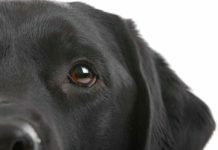 As a breed, Labrador Retrievers are predisposed to CrCl disease, it has been suggested that the incidence of CrCl disease in Labradors is two to five times more likely than the general dog population. The first sign of CrCl disease in Labradors is usually lameness. The dog may have trouble putting weight on one of their back legs, or have a distinctive drag or swing to their gait. There may also be swelling and tenderness in the area. 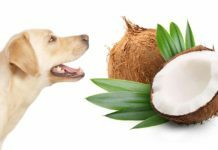 If you see any of these signs in your Labrador, then you need to take them to the veterinarian for a thorough examination. 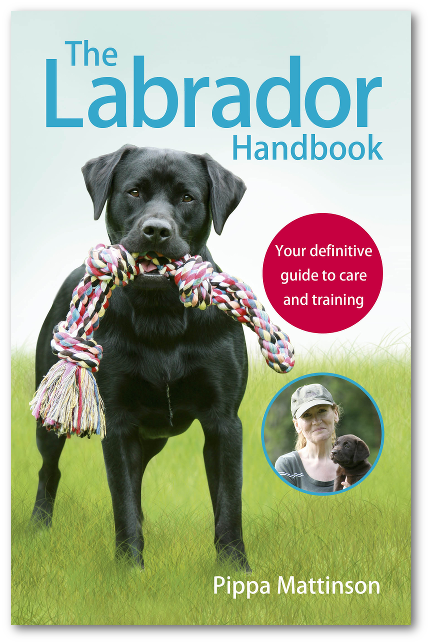 If your Labrador is overweight he is more likely to suffer from ligament damage, or if you only exercise him in infrequent but very strenuous bursts, this is something to watch out for as well. When you take your Labrador to the veterinarian, they will want to establish the cause of the limp and whether it is due to CrCl disease. They will do this by observing the way that your Labrador walks, by feeling his joints and by taking x-rays of his bones. In some cases they may choose to use an MRI or exploratory surgery if it is an unusual case. 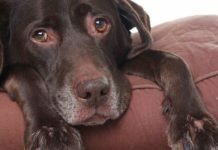 Your veterinarian will advise you on the best treatment for your Labrador’s CrCl disease based upon their diagnosis of his specific condition, and based upon their own experience. There are a number of surgical treatments available for CrCl disease, as Neil explains. The extra-capsular suture procedure involves replacing the damaged ligament with man-made alternative. This is produced in the form of a stitch or suture, made of a monofilament or multi-filament braided material, similar to strong fishing line. This holds the joint in a natural position, allowing the dog to move his leg correctly. The aim is that scar tissue will eventually replace the use of the suture, and support the leg in this manner. It is thought to be a more successful option for smaller and less lively dogs, although it can be used on larger breeds such as Labradors. If your veterinarian advises an extra-capsular suture procedure, then your dog will need to be on severely limited exercise for at least four months after his surgery. Another option for CrCl disease treatment is TPLO. It is a more modern procedure, which involves more invasive surgery. A veterinary surgeon will make a circular cut in the tibia and realign the bone, to give a more stable base for the dog to walk on. This movement will be held in place by plates and screws. This method is sometimes preferred for larger, heavier dogs or for more active personalities. Again, a healing period of rest of at least four months is advised after surgery in order to get the best results. Tibial Tuberosity Advancement (TTA) is similar in approach to TPLO. However, the bone is cut in a linear fashion, in order for the tibia to be moved to a different angle. Like TPLO it requires plates and screws to stay in place initially, and although they are not required after healing they are rarely removed. It also has a long period of recovery, where you will need to keep your dog on limited exercise to reduce the risk of re-fracturing the bone before it has healed. 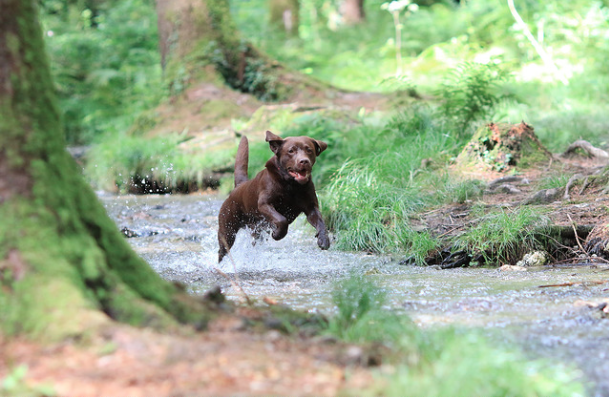 A friend of The Labrador Site, Julie Clayton, has personal experience of the TTA treatment, as her chocolate Lab Charlie was sadly diagnosed with CrCl disease as a puppy. She has kindly shared her journey with us. “Charlie was 8 months old, and he started limping on his hind leg. I took him to the vet who said lead walks (rest) for 10 days and anti-inflammatories. Charlie was 8 months old when he first showed signs of CrCl damage. After 10 days, Charlie was still limping and hip dysplasia was suspected, so we did x-rays, and found out Charlie’s hips were perfect. So the vet said more rest, and suspected a pulled muscle etc. After another 10 days rest, Charlie seemed fine, and the vet said we could return to normal. 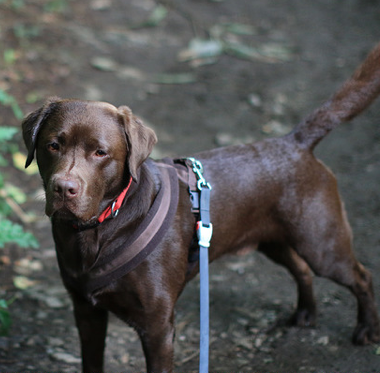 The first time Charlie got off lead after the 20 days rest, he galloped round (as a young Labrador will) and suddenly stopped and was severely lame. We got him back to the car, and went to the vet. We saw a young vet, not very experienced, who said it was a pulled muscle, gave more anti-inflammatories and said more rest. “It was absolutely dreadful finding out this was the problem, and reading about the operation that was required and the length of the recovery period. And also the worry about what the outlook would be for such a young dog. Plus, the practical difficulties it was going to present. At the time, both my partner and I worked, and we had dog walkers and day care arrangements in place – all of those were useless for a dog recovering from surgery and needing a long and careful rehabilitation. I’d also just started to really get into gundog training with Charlie, and instead of continuing with all the fun training, I was looking at months and months of rest and major surgery. 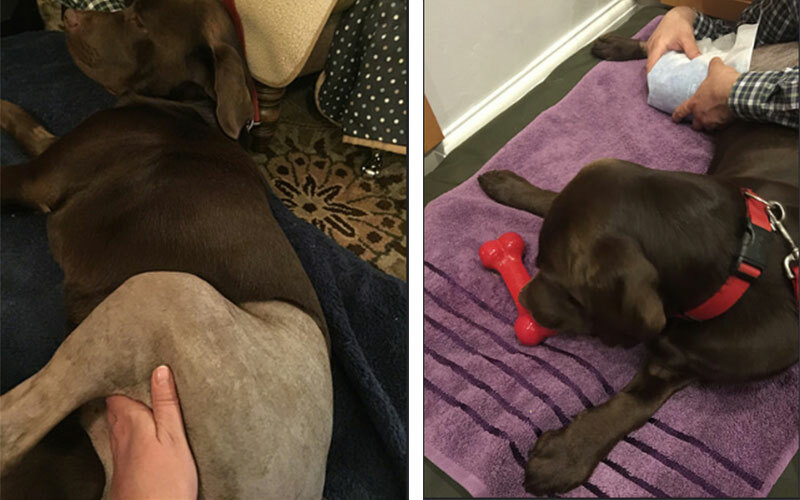 “As Charlie was only 8 months when this happened, the orthopedic vet recommended a very highly qualified surgeon, and these two vets agreed that it would be better to wait until Charlie was over a year old before doing the operation. X-ray showing the result of one of Charlie’s TTA operations, taken 8 weeks after it was performed. The surgical procedures of both TTA and TPLO involve cutting the bone to change the angle of the tibial tuberosity in the stifle, using an implant to hold the bones in a different angle while they heal. The vets thought this was best done only after a dog had finished his bone growth and his growth plates had healed. “It turned out that Charlie had a completely ruptured ligament and a tear in his meniscal cartilage. He recovered well, and I was very, very careful in his rehabilitation. I absolutely did everything by the book, to the letter. Charlie immediately after his op, being given PROMS and massage (left). Having an ice pack applied to his leg after a 5 minute post op walk (right). “My vet was also quite cautious about the timescale for the rehabilitation, and Charlie spend another 3 months on lead, and then his exercise was built up very gradually over another two – then 10 months after diagnosis, we returned to normal. “This time, as soon as Charlie showed a tiny limp, I had him seen by an orthopaedic specialist the next day, who suspected a ruptured ligament. Charlie was exercised on a harness and long line during rehabilitation. We took the decision to operate, and Charlie had a 50% ruptured ligament, which would have completely ruptured left untreated. Charlie recovered very well from the second operation, as he did the first, and we repeated the whole slow, careful rehabilitation. “Now, he is a year after his last operation, and shows very little sign there was ever anything wrong. He isn’t quite as good as new, his muscle mass on his back legs is good but not fantastic, and he’ll sometimes mis-step if he tries to turn at high speed. But he exercises freely for 2 to 3 hours a day, and lives a happy and energetic life. Charlie has now recovered well from his operations, as you can see from this gorgeous picture of his first un-restricted outing, four months after TTA. This means that although they are helpful, the joint could experience further problems in the future even after surgery. “Dr. Stanley Kim suggested that the optimal surgical treatment for the CrCL deficient stifle provides immediate stabilization of the unstable stifle joint while allowing normal joint contact mechanics and movement in all planes. “Our goal was to design and develop an implant that would provide immediate and continuous translational and rotational stability while minimally affecting stifle biomechanics. After six years of evidenced based research, the Simitri Stable in Stride® internal stifle stabilizing implant was developed. Based on an in silico comparison using a 3D computer model, stifle joint biomechanics were improved in the Simitri-managed stifle compared to the CrCL-deficient stifle joint and the Simitri treated CrCL deficient stifle was predicted to return ligament loads and tibial kinematics closer to the state of the intact CrCL stifle than did the TPLO managed stifle. 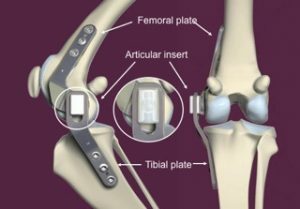 The Simitri Stable in Stride® implant is comprised of two, surgical grade stainless steel plates; the femoral (thigh bone) plate and the tibial plate. 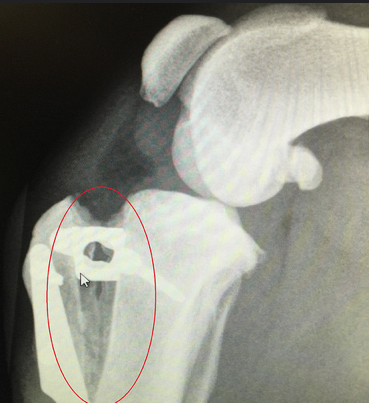 The femoral plate has a ball and stem that interconnects with the tibial plate via an 8 mm travel channel within the articulating insert. The insert is composed of ultrahigh molecular weight polyethylene (UHMWPE), this is the same material used in human total hip and knee replacements. The plates are positioned on the inside of the affected leg and attached above and below the knee joint with six cortical locking screws. The entire implant remains outside the knee joint, but under the skin and muscle. The video below is a fascinating demonstration of exactly how the Simitri implant is located and attached in a canine patient. Please note: there are shots of an actual dog’s leg during surgery – not for the overly squeamish! The Simitri Stable in Stride® implant immediately provides continuous translational and rotational stability while minimally affecting the normal function and movement of this joint. The implant is indicated as a primary repair method for cranial and or caudal cruciate ligament disease and as a secondary treatment for multiple knee ligament damage (stifle derangement). The surgical procedure takes approximately 55-65 minutes to perform. No muscles or bones are cut during the procedure making it a less invasive surgery. A comprehensive postoperative homecare handout consisting of massage, passive range of motion and controlled leash walking is provided. Recovery, depending on age, level and duration of disease, generally takes four months. If your Labrador has suffered from cruciate ligament problems, then you are welcome to share your experiences in the comments section below. Cranial cruciate ligament disease must be diagnosed by a veterinary surgeon. Treatment options will depend on the dog, your surgeon will discuss these with you. If you have any concerns about your Lab’s legs or gait, or any other aspect of his health – always seek advice from a veterinarian. 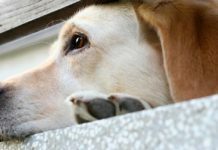 Coping with a dog after surgery and during rehabilitation can be tough. But there is light at the end of the tunnel! Do join the forum where you’ll find help, support, and sympathy during this challenging time. There are too many young, healthy labs tearing their CCL’s. My dog Gus tore his at 18 months. The angle of the joint was 23 degrees which was almost twice the upper range acceptable value. Gus is very healthy and active dog who exercises daily. I had the TPLO surgery done on him at 2 yrs old and he has been doing great (he just turned 3). I do notice that he still has some irritation after hunting or being very active. I would say that I’m pleased with his progress. He went to South Dakota and Kansas on two hunting trips this fall and did great. He also hunting waterfowl from September to December (we’re in Alaska) without any issues. I’m afraid he will tear the other leg so his exercise on land is limited to walks and the occasional retrieving session on grass. Everything else I do with him is water based to try to strengthen and reduce stress to his legs. My 7 year old lab has been confirmed that she will require TPLO surgery. My vet reccommends, that with her age, the surgery would be helpful as she still has a few good years left. I’m not sure what to do here. I absolutely love her, and she seems to be doing better in these last couple of weeks, but I’m afraid that if i dont do the surgery her leg will get worse, but if i do the surgery, there’s a chance for more complications. Any advice or thoughts would be most welcomed! My 10 yr old lab x has been limping on and off for a year now. Vet saying pulled muscles around her hip and knee ares.. Just rest and tramadol. Few days ago xrys with sed preformed. Found crutiate ligament diesease with bad arthritis in tge joint. Some damage in later life to thay leg was to be expected..
Whst to fo for her best interest is so hard. I don’t have pots of money. Her insurance has paid out once on that leg for minor vet fees and noe has an exclusion. surgery may or may not help her now..
My 2.5 year old was just diagnosed in BOTH knees. Partial tears in both. He does not seem to be in pain, yet. They have told me the surgery will be $8,000 to replace both! I am a recent widow with twins in college! I cannot afford this surgery. I cannot even offered to finance it at this point. What happens to his quality of life IF I cannot give him the surgery he needs? He was our “Empty Nest” baby for my husband and I since our only children were heading to college. My husband passed away this past February at 39 years old from a sudden heart attack. We adore Basher so much and I feel he is a huge connection still to my late husband. I just don’t know what to do!! I dont mean to throw out a sob story but I am really just hoping to find stories of Labs that have still lived a long and full quality life with this! Thank you! My golden Jazz was operated last year because of a Crcl. She underwent a TTA but is still struggling. My vet never diagnosed what she had and kept her under anti inflammatory meds for one year. It was me who took the initiative to go to an orthopedic vet. But in the mean time severe damage had been done to her knee. Jazz developped severe arthrosis which explains why she started limping again a few months after surgery. She is now being treated with stem cells therapy. Verdict in three months time. So if you dog starts limping, please do go directly to a orthopedict vet. Do not waist any precious time like I did. Our Ted tore his cruciate ligament a few weeks ago first when we took him to vet a young vet thought it was a pulled muscle…told us to rest him…it seemed to get bit better,then went for walk off lead,came back lame…???? Saw the orthopaedic vet at practice who had him in for X-ray showed CLD…had his TTA op last Thursday….it’s hard keeping him calm and rested,he’s a very boisterous dog..we are not sure of his age as he a rescue from Dogs Trust…thank goodbness he insured…there’s no way we could have paid the £3,250…hoping he has a good result…the other leg shows arthritis in hip…so not sure what the future holds,we are dealing with it all one day at a time..???????????? Our black lab Guinness has been testing for 2 weeks now… only going outside on leash and for a dialysis 15-20 minute leashed walk. We took him in for x-rays for one reason alone…. when he arm tarts running he is using both hind legs at the same time not back and forth. Do many labs run this way or Is that considered unusual? I was worried about hip dysplasia but the x-rays came back negative and his hips are perfect. There was minor inflammation seen in his right hind leg so that’s why we are resting him for 6 weeks with minor activity for we are worried about a crucial ligament partial tear. Are we being overly cautious or is this considered a sign of crucial ligament problems? He does this limp or go lame or ever seem in pain. Just the two hind leg at the same time running around? Anyone’s response would be appreciated. I hope we don’t need to take our 1 year old pup in for surgeries. Thank you. Our Lola had TPLO surgery in December, more than a year after a random wrong turn blew out her CL when she was just 4 months old. A few things — someone here asked about the cost. Consultation fees + surgery have been more than £3k. However, we had many appointments in the year+ between the injury & the surgery, so there were many additional fees that applied that would not be the case for many. I suggest contacting your closest universities and discussing your pet & situation with their vet department — I may be being overly optimistic, but perhaps there is a way to have the surgery subsidised as it would/could be a training opportunity for veterinary students. It sounds to me as though you have an exceptional need. Another important note, and of course this was specific to our case, and on the advice of our fabulous surgeon (we went to a specialist in Scotland) — during the wait time prior to surgery we kept Lola to lead-only exercise only when she appeared to be in pain having overdone things. I was in despair thinking I’d be limited to short lead-only walks for the year +/- that it would be until she was fully grown and able to have the surgery, but basically the vet said ‘the damage is done, reasonable exercise is fine, cannot make it worse, go ahead and let her live a normal dog life.’ So some months Lola was off lead playing fetch, running & swimming, and other months she was much more limited (if she appeared to be struggling with pain, limping, non weight bearing). We’ve been quite by-the-book with Lola’s rehab, and all has been going well. She’s been doing 15-20 minute lead-only walks for a couple of weeks now, and dealing well with the restrictions. It has got her a lot more on-the-floor-cuddle-time, so she’s maybe thinking it’s a fair trade-off… She’ll go back to the surgeon mid-Feb, which will be 2-1/2 months post-surgery, and we will know more then about how the site is looking and how far she is from returning to usual dog activity. I’m hoping that she will be back to normal by the time summer rolls around. Crossing fingers! All in all I’ve found that the rehab post-surgery has been less awful than I thought it would be. Lola had been on a roller coaster of good/bad (pain & activity) for over a year, so I’d long been going through being stuck at home with her when it was one of the bad periods. Now I’m just getting it all over with at once (over the course of several months) with the hope that it will be finished with that cycle. The vet surgeon did say that she did not have CrCL disease in that she was predisposed to this and might need the other done — it was a freak injury, and no indication that the other leg would need the same. I hope that turns out to be the case, but in any case, we will be a bit more conservative in how she exercises in the future. I would be cautious about ‘the damage is done’ school of thought and letting a dog exercise freely if a cruciate ligament is damaged. Yes, the ligament may be damaged – but the meniscal cartilage may not be. Dogs with meniscal cartilage generally do worse long term than those without. I’m afraid that most dogs with cruciate tears are suffering from cruciate disease. I too held on to the thought that it was ‘a freak turn’, just an accident, but it wasn’t. It was cruciate disease and a second operation was necessary. It’s best to be prepared…. But they seemed to leave it at that. I’m not in a sound financial position to go private. Could anyone please give me rough idea of cost involved. As myself and my brother who has downs syndrome totally love our lab to bits. We actually rescued him 6 years ago from a centre. After he had suffered a horrendous life with the previous owner. See my above comment re: universities — it’s worth a shot, in my opinion. Good luck, and I hope to see a comment here from you that you’ve found a solution. My chocolate Labrador Jessie had both her hind legs treated for cruciate disease a year ago. She was treated at ‘Super Vets’ in Surrey where she had her knee bone re aligned and fixed together with plates and screws. She was a sad little dog when I picked her up and the recovery process was hard going at times. It was a long road but she healed really well and a year on I’m very happy to have a bouncy, happy and athletic Labrador who jumps about very happily on her robotic legs!! I have been very happy with the operation. Rest is so important to heal this leg and am determined to do everything the Vet and physio advise to get her back to her active,healthy,playful self.